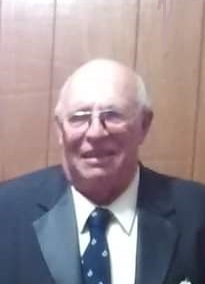 Michael A. Aldridge Sr. – age 67, from Russell, died Sunday, March 24, 2019, at Hays Medical Center, Hays, Kansas. He was born July 11, 1951, at Golden, Colorado to Allan Thomas and Ellen Frances (Fowler) Aldridge. He married Susan Marie (Hasenberger) on July 5, 1974 at Golden, Colorado. She preceded him in death on February 16, 2019. He was a truck driver for Brull’s Trucking for a number of years and retired in 2018. He worked for the City of Russell at the power plant for 15 years and moved to Russell in 1980 from Hays. He grew up in Golden, Colorado and was a 1969 graduate of Almeda High School in Golden, Colorado. Michael was a member of the Church of Jesus Christ of Latter Saints, the Eastern Star and the Hays Masonic Mason Lodge No. 195. His Masonic memberships included: a free Mason Master, York Rite, Knights Templar, a Guard of the Grand Commandery of Knights Templar of Kansas, and served as Master of Hays Lodge. He enjoyed truck driving, hunting, fishing, model trains and playing chess. Survivors include two sons, Michael A. Aldridge Jr. and wife Alicia, Benkelman, NE; Cecil T. Aldridge, Russell, KS; one daughter, Cathy “Catherine” S. Eledge and husband, Tony, Waldo, KS; two brothers, Bruce Aldridge, Denver, CO; David Aldridge and wife, Marilyn, Grand Junction, CO; ten grandchildren and one great grandchild on the way. He was preceded in death by his parents and his wife, Susan. A celebration of life memorial service with a Hays Masonic Mason service is at 11:00 A.M. Saturday, April 13, 2019, at Clines-Keithley Mortuary of Hays, 1919 East 22nd Street, Hays, Kansas 67601. A private family inurnment will be held at a date. The family will receive friends from 10:00 to 11:00 A.M. Saturday, at the mortuary. The family suggests memorial to the Hays Masonic Mason Lodge No. 195.